A big movie-making project just reached blockbuster status. The Los Angeles-based production company behind “Iron Man 2,” “The Avengers” and the next three “Avatar” films has been chosen to manage the Atlanta Media Campus in Norcross. It’s a 114-acre development. The concept behind what’s happening there is basically Atlantic Station meets a movie sound stage. “With the scope and the scale of this project, I don’t think there’s a location like this in the country,” explained developer Jim Jacoby. In 2015, the Atlanta Media Campus located at I-85 and Jimmy Carter Boulevard will also be home to a school and condos, all between the planned seven sound stages. In true Hollywood style, it all has a façade. Your condo may look more like New York City than Norcross, and it all may end up as a movie backdrop. “Places where you can’t film like Wall Street or the French Quarter,” Jacoby explained. 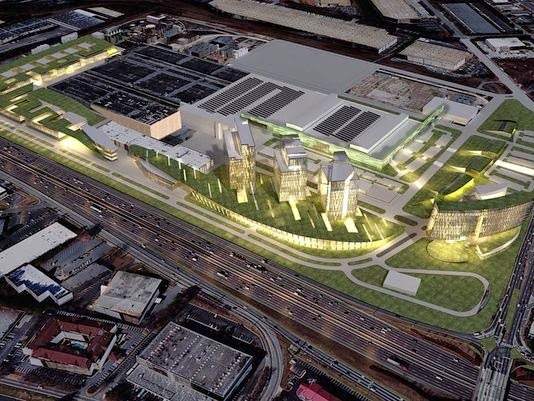 More than 2,300 jobs are predicted with the development of Atlanta Media Campus.